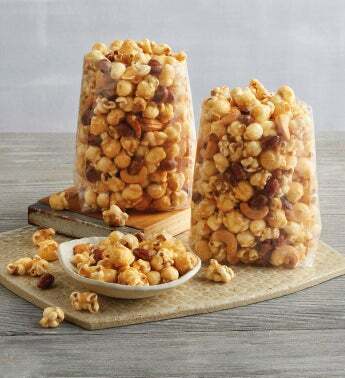 Get more Moose Munch® Premium Popcorn to crunch with this two pack of our classic caramel flavor. This premium popcorn blends salty and sweet in one handcrafted snack that you can eat by the handful. 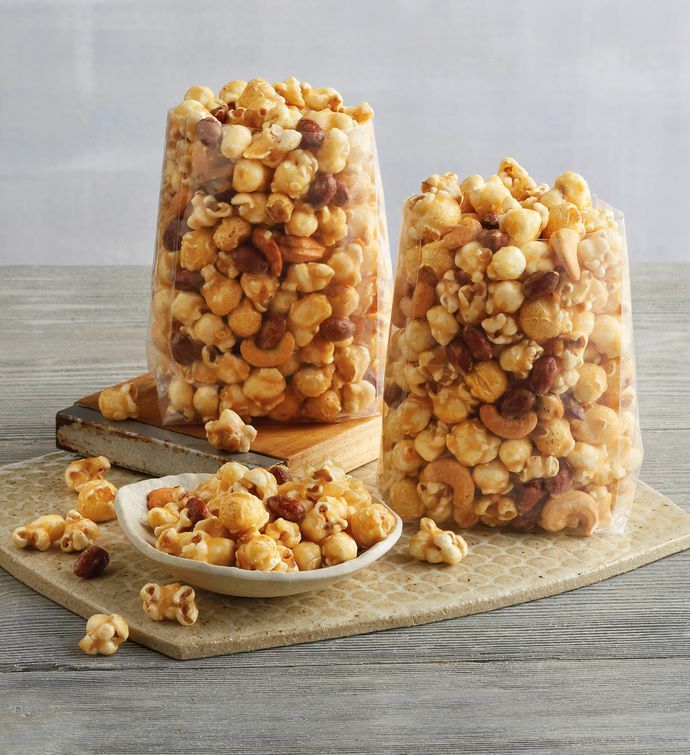 Handcrafted in our Harry & David® candy kitchen, it blends sweet, smooth caramel with crunchy popcorn and nuts to make a satisfying anytime snack. Introduce a friend to a new flavor or pass a bag around the campfire when enjoying the great outdoors.